The small island of Sri Lanka is located approximately 1,421km from India, 970km south-west from the Bay of Bengal and 1,862km south-east of the Arabian Sea. The cultural history of this little country may be difficult to understand for many, as Sri Lanka is so closely inter-twined with the Indian subcontinent, and sits comfortably in the Indian Ocean itself. However, people from Sri Lanka, especially foreign settlers into Anglo-Saxon countries such as the UK, have their own unique culture and customs that they carry with them. Their traditions contrast hugely with that of other nations in the Asian continent, and it can definitely be said that Sri Lankans in the UK are very proud of their heritage overall. Historic relations between Great Britain and Sri Lanka date back to the 19th century, with the rule of the British Empire. Between 1815 and 1948, the island was formerly known as Ceylon and a colony belonging to her Majesty Queen Victoria, Empress of India. Later, between the 1950s up until the 80s, there was a huge influx of Sri Lankan immigrants into the United Kingdom. 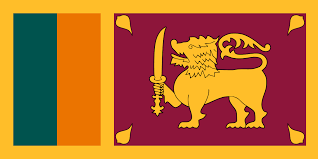 This was largely due to the lax immigration laws allocated to Sri Lankan citizens in the post-empire period, and the country’s connections to the British Common Wealth. The late 1980s and 90s again saw an increase of Sri Lankan settlers into the United Kingdom, following a civil war and heavy period of political unrest in their home country. These people often came on student visas, with their close relations following them after the allocation of family reunion visas as well. As a result, many of them obtained full-term employment within the UK and became permanent settlers. After this followed the birth of second and third generation settlers, as this first wave of Diaspora successfully integrated into their host country. In 1991, Sri Lankans were the sixth biggest Asian minority in the UK, with almost 40,000 British inhabitants having been born in Sri Lanka. The Sri Lankan community have progressed well within British society, and have been praised for their hard-working attitude and little association with gang violence and crime in general. This is largely due to the strong emphasis on education imposed within Sri Lankan culture. As of 2017, the literate adult population of Sri Lanka stood at a staggering 96.3%, whereas up to 28.3% were recorded to be fully computer literate as well. English is fluently spoken by around 10% of the Sri Lankan population, showed a study in 2014, which is around 2 million of the country’s inhabitants in total. Sri Lanka’s formal education system came around due to the country being a subject of the colonial empire. Education is also a fundamental right of all Sri Lankan citizens, under the country’s institutionalised laws. As a result of this grouping’s docile nature and importance placed on the value ofneducation, many have gone on to work in medicinal or legal professions, and gain other white-collar jobs in the UK. Even during the 1960s, Sri Lankans helped to solve issues to do with under-staffing in the NHS. Many members of the Sri Lankan community have gone on to become doctors, lawyers, consultants and successful business people. There are hardly any ethnic boundaries or caste segregation systems within Sri Lankan culture, which have led to the group doing well with organizing themselves politically and socially inside the UK. The group are seen as progressive members of British society for this reason, and mainly categorised as belonging to the middle-class. Sri Lankans come in a variety of ethnicities and races; Tamils, Sinhalese, Moor and Burghers. Unlike other Asian communities, it is common for Sri Lankan marriages to only produce one child, so children of these communities are likely to grow up without any siblings. Sri Lankans living in the UK largely descend from Tamil heritage, and for this reason there is a larger population of Sri Lankan Christians in this country rather than Buddhists. Many Sri Lankans in the UK are also Hindu or follow a Muslim faith. However, since Tamil culture is deeply instilled into most of these inhabitants, their cultural traditions and way of life does not differ greatly. For Sri Lankans of the Hindu faith in England especially, renowned places of worship such as the Murugan Kovli and Sivan Kovli have been established in the West of London. The Sinhalese community has also been satisfied by the large number of Buddhist temples built for them. The most popular of these is the Vihara at Kingsbury, also in London city. Most Sri Lankans in the UK can either speak Sinhalese or Tamil as their first language, in addition to English. There are now approximately between 100,000 and 200,000 Tamil speakers in the UK. The most popular places for this grouping to settle are the London Boroughs of Harrow and Tooting, locatedin the West and South sides of the city respectively. The Sinhala language is derived from Brahmi script. However, the Sinhalese population in the UK and their preferred areas of living are largely unknown as they are of a minority, and largely categorised under the broad category of ‘South Asians’ or ‘other’ in terms of their ethnicity. Who Could Turn Down Luxury Chinese Cuisine at 50% Off?